2018 was a banner year for UX education. With an increasing barrage of conferences, bootcamps, meetups, and mentoring, it became easier than ever for new designers to learn the trade. Prominent designers pushed for inclusivity, not just in our products but in the organizations that design them. These advances are worth celebrating. The more mainstream and inclusive experience design becomes, the better experiences we’ll produce. But as a design leader, a Springboard mentor, and a teacher of several Skillshare classes, I’ve seen firsthand that UX education isn’t doing enough to prepare new designers for their first jobs. Too often, new designers enter the job market bright-eyed and bushy-tailed, only to become disillusioned. Landing their first job is more difficult than they imagined, and once they do, the reality of designing real-life products rarely matches their expectations. Most UX curriculums start with a basic definition of user experience, move on to user-centered design, and sprinkle in a few lessons on UI design and working with stakeholders. This approach is understandable. UX is, by definition, a cross-disciplinary field. There’s a ton for new designers to learn, and focusing on the user-centered design process provides a framework for the entire curriculum. But what’s missing from this approach is context. One of the things I see new designers struggle with repeatedly is the reasoning behind user-centered design. Why is user research so important? Why do we do it this way? What are we trying to solve? I can’t oversell the benefits of explaining the history of user experience, the various ways companies design and build products today, and the differences between waterfall, agile, lean, and UCD. When students understand the successes and pitfalls of various approaches to product development, they start to realize why design thinking is so important. They get comfortable with the idea of user research. They stop jumping to solutions before understanding users and their problems. UX curriculums should start with this context. UX design is a messy field. Users are complex and capricious; their motivations are subtle and varied. 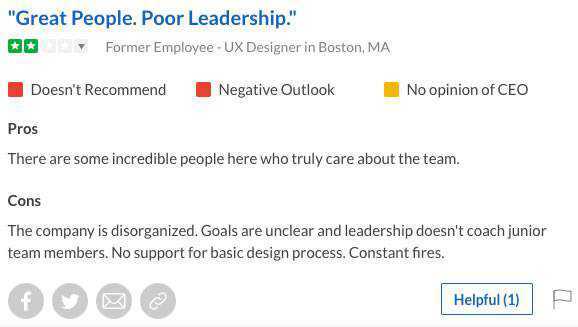 To make matters worse, design isn’t a universally accepted good in most organizations. Executives from other fields often despise user research as a “navel-gazing” exercise. Stakeholders will fixate on particular “solutions” rather than explaining the problems they want solved. But most ux curriculums fail to convey the reality on the ground. Following a user-centered design process is a struggle, not a given, because it requires significant evangelization and education. New designers should know this before they land their first job, and we should prepare them for the task of generating buy-in. The most common question I hear from students is what it’s really like as UX designer. We should provide the answer and prepare them for it. I can’t count the number of new designers I’ve met—from bootcampers to graduates of prominent design schools—who lack basic practical skills. Most ux courses emphasize understanding users, but few place any serious emphasis on actually ensuring your designs solve their problems. Yes, students learn basic design principles, but what about product thinking? 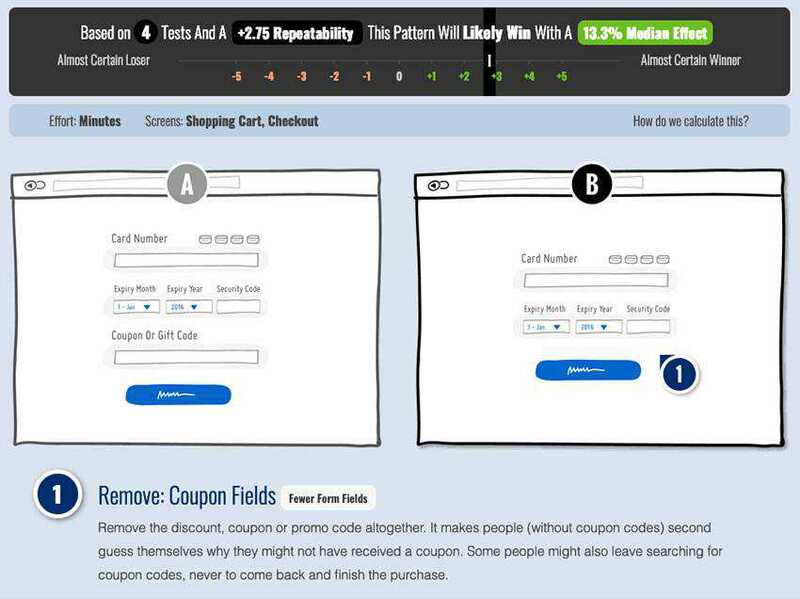 What about ux analytics and testing? Most designers are better off begging, borrowing, and stealing from designs solving comparable problems, but we rarely teach that skill anymore. Yesterday’s design leaders created pattern libraries as a means of helping other designers see how others had solved similar problems. While today’s design systems help companies maintain consistency across products, we’ve stopped thinking of pattern libraries as resources for the design community as a whole. And, while organizations are desperate to hire ux engineers and designers who code, there’s persistent backlash against teaching designers coding skills. We can do better here. Increased interest in UX engineering means basic coding skills are now table stakes. The pressure for design to drive product performance means the same for analytics and testing. This isn’t just a tangential issue for the design community. Designers have a stake in how the entire team collaborates to create prototypes and finished products. The design of the codebase itself can have as fundamental and profound an impact on the end-user experience as the design of the product’s interactions. The truth is that new designers are hungry for these skills. In 2018 I noticed a subtle shift in the questions new designers asked. Designers were increasingly interested in the data around various design patterns; they found sites like GoodUI particularly fascinating. “Should I learn to code?” became “how and when should I learn to code?”. UX curriculums should provide more resources and guidance in these areas. Failing to do so means churning out candidates unprepared for the demands the workplace will place on them. I’ve written about data-driven design before, but I’ll say it again. The best designers tie their work back to real business results. If design is about solving problems, then data can show how well we’ve solved them. Too many young designers think ux is about obsessing over interactions and getting every little piece of the product perfect. Too few understand that good designers choose which problems to focus on and which to ignore. Understanding the business is as important to design as understanding the user. If we want tomorrow’s design leaders to operate on an equal footing with marketing, sales, and engineering, then we need to teach them these lessons today. Not all junior design positions are created equal. It’s especially important for new designers to have the benefits a mature design organization provides. Mentorship from experienced designers, good design process, and at least a modicum of buy-in from the rest of the organization are key elements that help new designers thrive. New designers have little business working at companies without this support. But even a quick glance at job listings on sites like AngelList or company reviews on Glassdoor makes it clear that many companies aren’t prepared to provide them. Many of us have seen a poor first job choice scuttle the careers of more than one junior designer. We’ve developed informal advice for the designers we mentor to help them avoid this. It’s time to make that advice part of the curriculum. The vast majority of companies are bad places for designers to start their careers. We need to teach new designers to recognize the difference. The progress the design community made in 2018 was a fantastic step in the right direction. It’s time to take the next one. We should design UX courses the way we design every other product. 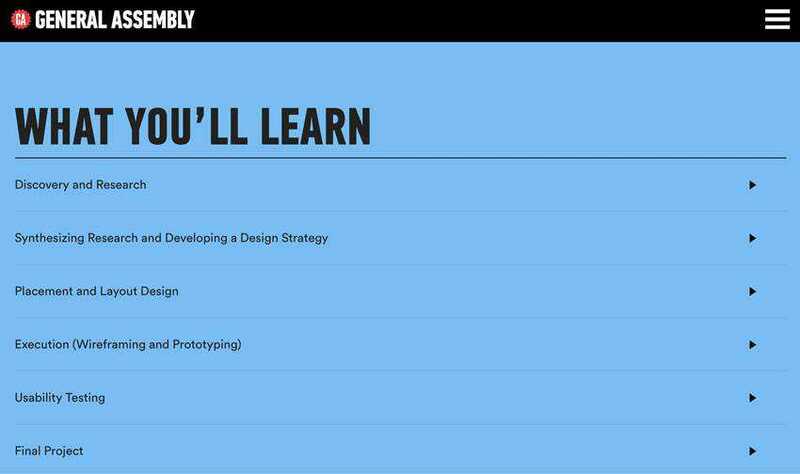 Increasing the number and depth of discussions with brand new designers—and those who’ve been in the field for one to two years—will improve the process of learning design for everyone. As a community, we owe it to ourselves and our users to make this investment.